To hire an internationally acclaimed architect to work on a major project costing £56m, for a universally renowned institution in a world famous building, and then for their firm to deliver the project in a way that is so sensitive to the point of being invisible, goes against what we might expect from an august member of the legion of starchitects. While the architect in question might not like that moniker, that is what he is, and that is what he has delivered: architecture with a very light touch. Take a look at what is on the cards to be opened this year and you get some idea of where the stargazers are headed. In 2018, there are literally dozens of major new museum buildings due to open. But then consider why our hero was appointed to develop a masterplan for a two-acre site in W1 in the first place, back in 2008. Having designed museums from Anchorage to Agra, Henley to Hangzhou, Margate to Mexico City, and St Louis to Wakefield and a lot more besides, along with Renzo Piano he has become the go-to architect for museum expansion. But inevitably, it was the 12 years spent on the redevelopment of the Neues Museum, the first component of ‘a sanctuary for the arts and sciences’ designed by Friedrich August Stüler on what is now Museumsinsel in Berlin, that established his minimalist approach in stark contrast to the maximalist style of so many of those other new museums and galleries. His appointment to masterplan and design the transformative redevelopment of the Royal Academy in London came at a difficult time for what was a feuding institution. Newspapers were running editorials with headlines like ‘What’s the point of the Royal Academy?’ and its then secretary Lawton Fitt had resigned, complaining of arcane structures. When Fitt – the first woman, the first American, and the first banker – quit in frustration in 2004 the RA really did appear beset by crises. A bitter dispute with Norman Rosenthal, the curator and art historian, famous for staging brilliant exhibitions, ignoring the work of academicians, and spitting in the face of the critic David Sylvester at a press view, had led Fitt to be dubbed The Goldman Sacker when she tried unsuccessfully to get rid of him. Her predecessor had left the RA after an equally short spell in charge, complaining ‘this is a £20m-a-year business, not a gentleman’s club’. A few years earlier the bursar was found to have stolen £400,000 in 1996. Then later, Hopkins Architects had produced a scheme for the combined site that had cost about £80m in 2004. The president was away on extended sick leave. The RA was losing £1m a year when open, £300,000 a year when closed. Nothing made sense. It was not a happy place. The head of press relations was repeatedly heard saying ‘this is an internal matter’. When they were not crying, everyone just laughed. It was time for a clean sheet. Nicholas Grimshaw became president, bringing with him with some calm, consolidation, and much-needed lustre to the place as the spectacle of scandal and in-fighting came to an end. The agents of change gradually moved in. Charles Saumerez Smith was appointed secretary and chief executive in 2007, prior to which he had been director of the National Gallery. Christopher Le Brun has been president since 2011, and Tim Marlow was appointed artistic director in 2014. Fast forward and it is unrecognisable. One of the most important chapters in its 250 years will open on 19 May when its new campus will be unveiled. It feels like a completely different place. The physical transformation will change it fundamentally. Originally, the RA set up home in 1768 in Pall Mall with a gallery just 10m long. Twelve years later it moved to Somerset House in the Strand where it remained for half a century before moving to share premises with the new National Gallery in the 1830s. Designed by William Wilkins, it was one of the first buildings on what was to become Trafalgar Square in May 1844. After 30 years in the east wing, the RA moved to its permanent home at Burlington House, a 17th-century building designed by Hugh May. In 2001, it acquired 6 Burlington Gardens, an impressive example of mid-Victorian architecture, designed by James Pennethorne for the University of London, and one of the grandest unrestored buildings in central London. From 1970, it was the British Museum’s Museum of Mankind before that subsequently returned to Bloomsbury. The link between the two buildings is at the heart of overall redevelopment. Linking Burlington House with Burlington Gardens both physically and in spirit has resulted in 70 per cent more space, which will mean the Academy’s programme will be expanded to all year round. There are new galleries for temporary exhibitions, for site specific work, for student and graduate work, for the Royal Academy Collection, for architecture and, in the vaults, one for its formidable collection of plaster casts. 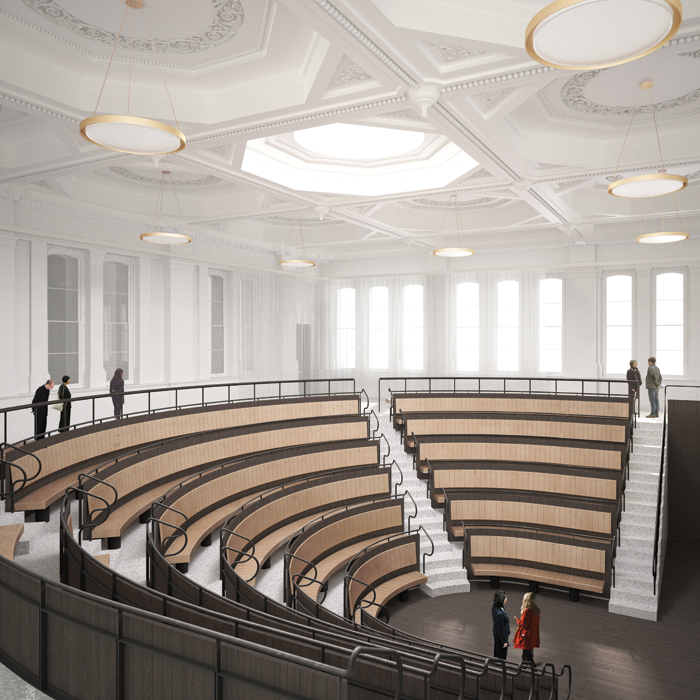 There is an educational wing that includes the contemporary reinstatement of a double-height 260-seat auditorium, the relocated British Academy Room will be a venue for courses and classes, and there is a new learning centre designed to attract everyone to engage in art. A rather grand suite of richly decorated rooms designed for the University of London Senate on the first floor of Burlington Gardens has been refurbished, visitor facilities have been upgraded throughout, and the entrance halls opened up to offer a clearer and more spacious environment. There are also additional retail and catering facilities plus a reconfiguration, extension, and improved facilities for the Royal Academy Schools. But it was creating that central link that was the key. As the two sites have been united, a route through the site will not only help internal circulation but create a route from Piccadilly to Mayfair that should engage the public. A project that refurbishes two Grade II* listed buildings meant ensuring any interventions were kept to a minimum and were not only sympathetic to the historic fabric of the buildings but also enhanced it where possible. It also required incremental implementation in order to keep the place going while the work was in progress. And while most museum extensions are straightforward additions, this project did not require adding anything major, but to find a way of connecting something. A second great entrance and a long public internal street, accessible between major shows, sounds great. But, the design interventions have optimised what was already there. Far from fighting the old wings the new intrusions caress them. What the project entailed was brokering a deal between the buildings, the institution, the staff and students, the competing claims of which were clearly complex and at times contradictory. There was a collective desire to get it right, to maintain and enhance the magic. That has not been easy. But there are few clues as to how the magician has pulled off that trick. His legerdemain has carefully inserted just one new piece of structure: a bridge with a window that crosses a yard. Fifteen metres. That’s it. ‘You would think it’s quite easy to connect two buildings that are separated by a 15m gap – but finding a route between these buildings was a significant problem,’ Chipperfield says. And yet, this is not just a building refurbishment and development. A great institution has really changed. Physical change is at the heart of it. The architectural solution has been embedded in the place itself. The way it feels, the way it works, the way the structures have been married into an indissoluble whole is as transformative as the client hoped and expected. Working within the fabric of the arts establishment in many countries, Chipperfield has become a favourite of the boards of trustees entrusted with governing the world’s major museums. Over many years now, he has consistently delivered serious, elegant new spaces that combine respect for historic fabric with high-minded modernity and a sense of generous, civic permanence. What this means in London is that there will be very little architecture on display. It’s there already. It has been all about working within the seams of the existing buildings. The project works because it is pretty invisible. He had done it before. At the Neues in Berlin he could have simply restored the original structure, which had stood empty since it was reduced to ruins at the end of the Second World War. Instead, he chose to supplement ‘historical fragments’ with something new. ‘We tried to make a modern building out of the old building, but with huge respect for what was there. We maintained every historical element, without removing anything, but incorporating that into a new building, which was a mediation between the original building and a new museum.’ So, he has done it before, and he has done it again. Nostalgia and honesty are not easy bedfellows. Trapped by history is something we have to come to terms with, be it politics or architecture and design. That respect for historical accuracy has not always gone easily. Refurbishment of the intimidating Haus der Kunst in Munich, site of Hitler’s ‘degenerate’ art exhibition, has been planned since 2012. Committed to dealing with moral and social issues as part of its legitimacy, the museum declared it was not prepared to ‘hide behind the bushes’. But when Chipperfield declared that a line of trees be removed to ‘open the building up to the city’ and expose the grand and symbolic portico modelled on Schinkel’s Altes Museum, critics inevitably accused him of reconstructing Nazi architecture. That ‘opening up’ was interpreted as glorification, legitimising and dignifying a horrific past. The building remains a physical and uncomfortable reminder of the sinister cultural propaganda of an evil regime. Repairs, renovation, unintrusive but comprehensive refurbishment and upgrading of the interior to make the building worthy of its status as a major cultural institution became secondary as critics chose to ignore a brave step to ensure visitors confront what the museum represented, a place built by the Nazis to promote ‘authentic German art’. The architect came out fighting, calling the trees an arboreal ‘fig leaf’ to hide the neoclassical facade. If we wish to reckon with architectural history, it cannot be reckoned with an invisible building. Even more problematic has been his practice’s role (alongside Kuehn Malvezzi, Stephen Williams Associates and Agn Leusmann) in the redevelopment of a Hamburg townhouse that once served as the Gestapo’s headquarters in the city as part of a new urban quarter due to open this month, the Stadthöfe. Opponents of the scheme have objected to the size of the space given over to a memorial. In 2009, the sale of the site to the developer Quantum specified a noncommercial 1,000 sq m space to be given over to a ‘dignified historical evaluation’ of the building’s role between 1933 and 1943. The 100,000 sq m scheme has been marketed as a place of unendliches Plaisir – eternal pleasure. 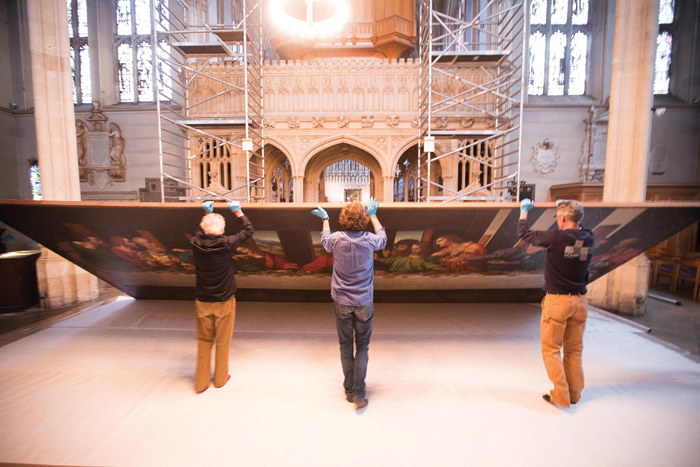 Before construction work began at the Royal Academy, the permanent collection was audited and, as is often the case with a large, historic and complex stockpile of treasures, the process threw up some surprises. 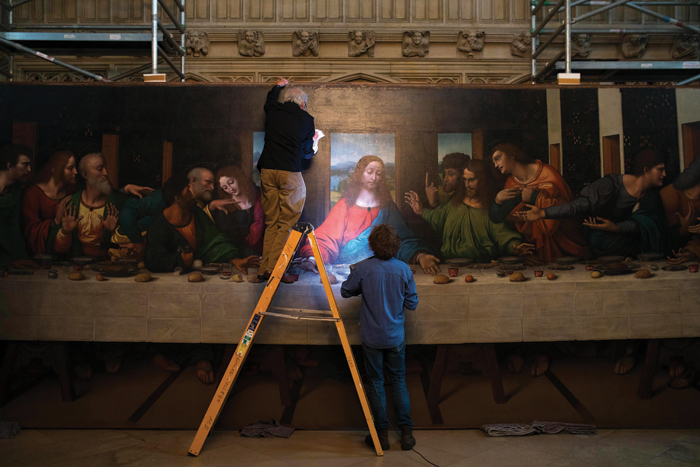 Among the 46,000 items in the RA’s collections is a spectacular copy of Leonardo’s Last Supper made by one of his pupils, Giampietrino, and one of the finest sculptures in Britain – Michelangelo’s Tondo – as well as mountains of personal memorabilia, letters, sketches and drawings from a who’s who of British artists. In a box labelled simply ‘Artists’ Memorabilia’ were discovered the Royal Charter and roll of obligation of the Society of Artists – Britain’s first artistic organisation began with an idea fostered by a small group of artists to promote the idea of a formal ‘Academy’. This informal collective gathered around a life-class founded by William Hogarth, and following the first exhibition of contemporary art held in 1760 it sought royal support. Eager to be seen as a patron of the arts George III agreed, and on 25 January, 1765 his Great Seal was fixed to three sheets of vellum establishing the Incorporated Society of Artists of Great Britain. Members had to subscribe to a set of rules and obligations, but very soon disputes within the artistic community of the 1760s caused a split, and a series of expulsions followed, including Joshua Reynolds, Zoffany and Gainsborough. They left and established the Royal Academy of Arts in 1768, an independent, privately funded organisation that would promote ‘the Arts of Design’. A year later the RA Schools was founded. Modelled on the French Académie de peinture et de sculpture founded by Louis XIV in 1648, it is the oldest art school in Britain. Today it offers the only three-year, full-time postgraduate fine art course in the UK. The Society of Artists folded in 1791. When the Royal Academy finally moved to Piccadilly in the late 19th century, the premises combined the Palladian house converted by Lord Burlington a century earlier, and a Victorian gallery block hidden behind it, linked by a grand central staircase. Between 1985 and 1991, the rediscovery of a lightwell between the two buildings enabled a new lift and a staircase to be inserted, some redundant historical accretions to be peeled away and the garden facade of the main building to be revealed for the first time in over a century. 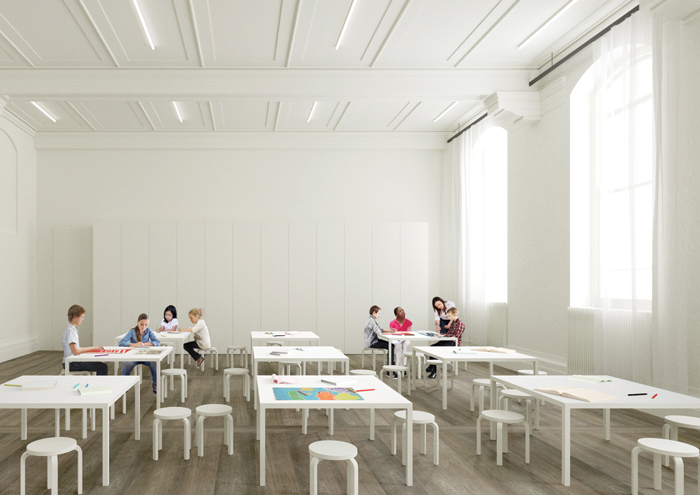 Coupled with replacing the undistinguished 19th-century Diploma Galleries at the top of the building with the new Sackler Galleries, the design produced by Foster + Partners was the first time that practice had worked within the context of a historic building, and the first contemporary intervention it made into historical structures, before the Reichstag in Berlin and the Great Court at the British Museum. A mere 312 sq m of minimal whiteness made an uncompromising assertion of style, luminous modernity and references to the past. It was very little but it was amazing. Chipperfield worked for Richard Rogers, and then for Norman Foster, before establishing his own firm in 1985. After designing a new shop on Sloane Street for Issey Miyake his next three commissions were in Japan. His subsequent work has been distinguished by its Oriental simplicity and serenity. His own buildings are striking, but they don’t clamour for attention. His subtle museum extensions in Zurich and Essen are a seamless blend of old and new. He deals in dignity. It has always been about ‘building something in a place that seems to belong to that place’ he was once quoted as saying. This year he will complete two residential tower projects, one in Hackney, the other in Bryant Park, New York; the Zhejiang Natural History Museum will be inaugurated in China; a new entrance building for Museum Island in Berlin will open; a new headquarters for Amorepacific, Korea’s largest cosmetics company, will officially open in Seoul, while the work of the practice will be on display until September at the Basilica Palladiana in Vicenza. Sensitivity to location and respect for significant architectural and structural characteristics have, in part, been responsible for the firm’s appointment to convert the 1960 Eero Saarinern designed Chancery Building of old US embassy in Grosvenor Square into a hotel for Qatari Diar. 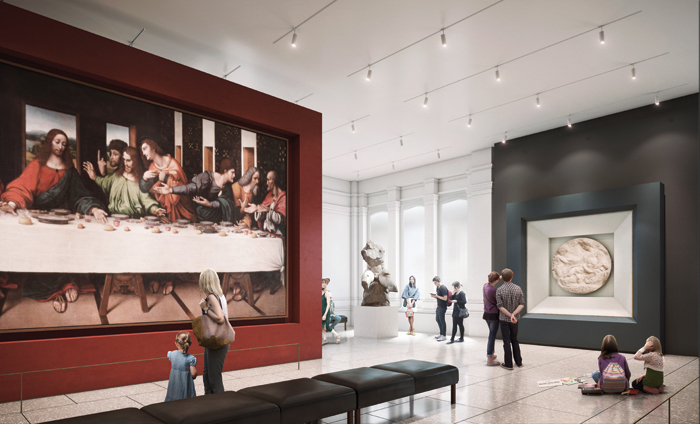 The firm is also responsible for reconfiguration of the 32,000 sq m Minneapolis Institute of Art in Minnesota that includes previous extensions by Michael Graves and Kenzo Tange, and restoration of the longest building in Venice, the 152m-long Procuratie Vecchie on the north side of Piazza San Marco. 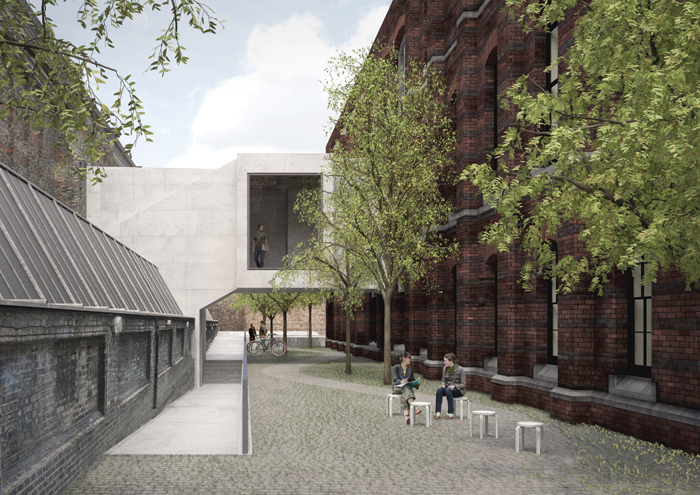 Due to be completed in 2020 and opened to the public for the first time in 500 years it will be a venue for art exhibitions, installations and seminars. Renovation of the Neue Nationalgalerie is due for completion next year. Designed originally by Mies van der Rohe, whose historic dictum ‘less is more’ could have been coined with Chipperfield in mind. The RA’s main annual event is its Summer Exhibition, due to open on 12 June and curated this year by Grayson Perry. Ever since 1769, and at a succession of locations, this year’s show will run in parallel to The Great Spectacle – a celebration of its own history. Once referred to by the art critic Brian Sewell as a ‘boozy club for old farts who flatter themselves that they belong in the same room as modern masters… a genteel, civilised, very British hell’, the Summer Exhibition has become an immovable feast, as traditional a summer fixture as Henley and Wimbledon. Showcasing great moments and forgotten moments, the controversies and the disputes, like Constable’s continued feud with Turner in 1832, one can only hope some of the best forgotten moments in the RA’s history might feature as well. The expected 250,000 visitors deserve no less. For his pictures every day. The storm clouds so long hanging over redevelopment of the Academy are about to lift.